Whiskey was brought into the world by a certified breeder in Winnipeg, Manitoba. 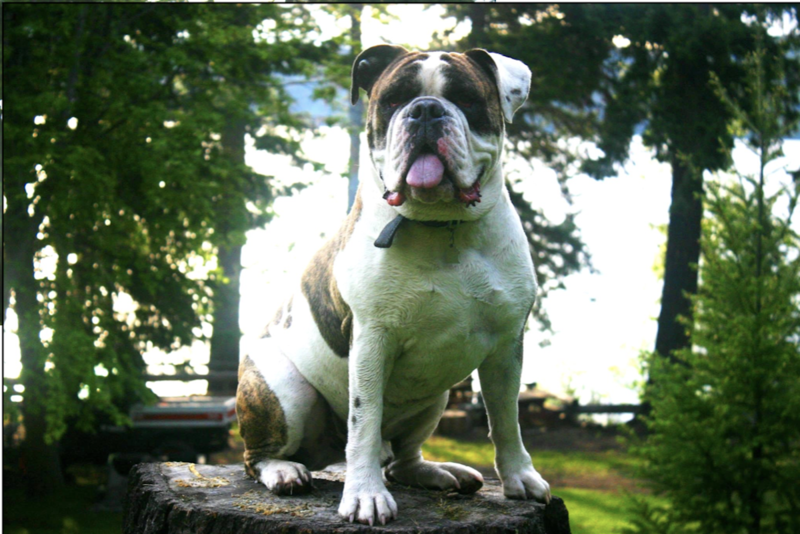 He had an English Bulldog father and Boxer mother, which resulted in what is known as a Valley Bulldog. I acquired him when he was eleven months old. I was into a budding relationship with a young lady who, upon our first meeting to go see Whiskey, recalls “ringing the doorbell and seeing a huge head barreling straight towards the door, barking and spitting saliva on the door window.” With an are-you-sure-about-this-look from my future wife, we opened the door to Whiskey for the rest of his life. No matter where we went: hiking in Kenna Cartwright, swimming at Guerin Creek Waterfall, walking at Mission Flats Nature Park, visiting family in Kamloops and area neighbourhoods, strolling down streets of different towns, he was always a subject of interest and of conversation. On one summer road trip to the Kootenays, we entered a just-for-fun dog competition and Whiskey won the ‘ugliest’ dog category. When I commissioned an artist to do a portrait of him as a Christmas gift for my spouse, the resulting painting, displayed at a local art show, won the People’s Choice Award. Not only was the artwork of exceptional high quality, but the subject was irresistible! Despite his large stature and mostly lethargic attitude, Whiskey had explosive energy whenever a certain stick, ball, or frisbee was available. Albeit sometimes stubborn, sometimes irritating, he seemed to instinctively understand the birth of our son as a precious and fragile gift to our family, and he extended tender sniffs, remained quiet during nap times, and exercised patience with this new addition. Although our 15-month-old son may not remember Whiskey, we will remember that our son’s first understandable word was ‘daw’ for dog. 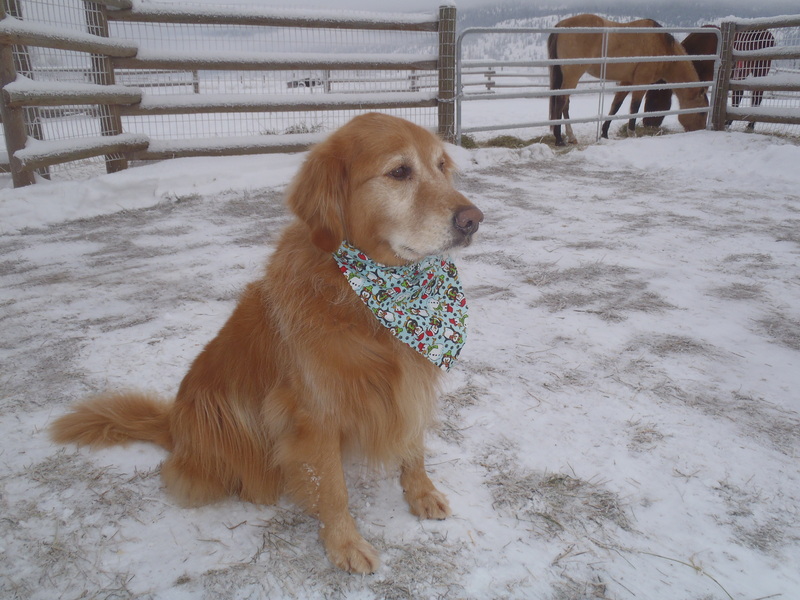 Whiskey passed away suddenly, but peacefully at home, just two months shy of his tenth birthday. His presence was never unnoticed, and neither be will his absence. Scully’s exact birth date was not known but she was adopted in the summer of 1997 after a “love at first sight” episode. It was estimated that she was about one and a half years of age at that time. An upper respiratory infection made her less adoptable to some, but it didn’t stop me from making a quick decision to give her a home. 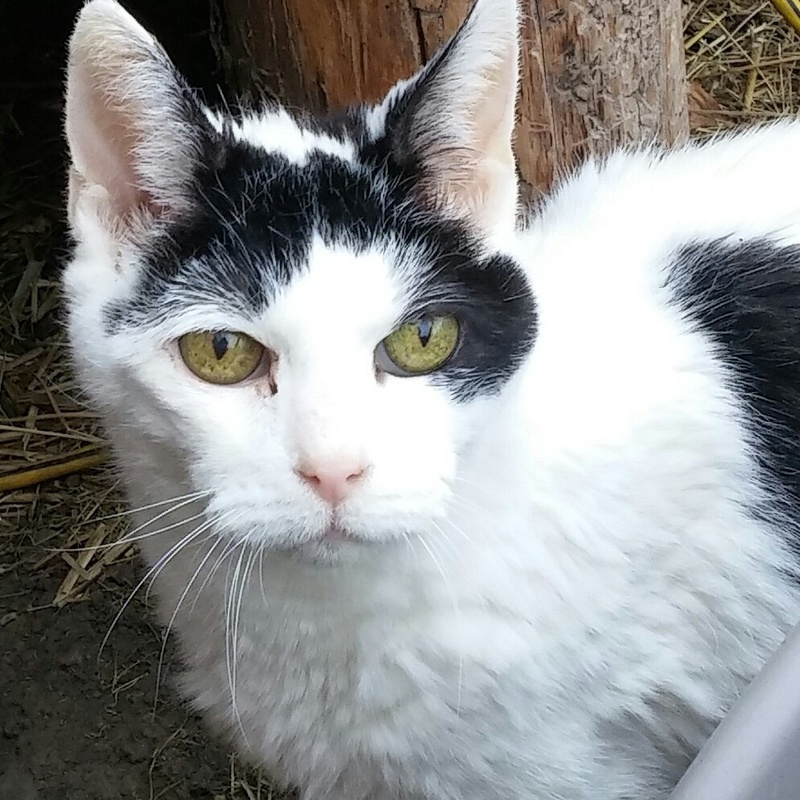 For the next 21 years she lived in Knutsford as an indoor kitty with an outdoor enclosure to keep her safe from the coyotes that in all probability had taken her predecessor Casper. She was a tiny cat with a big attitude and not terribly fond of the other pet members of the household. Her special talent was mousing and she discovered if she put her living victims in the bathtub they couldn’t escape, at least until I took pity and did a catch-and-release. Scully’s preferred method of drinking water was to scoop it up with her paw. She always had her own room and liked being visited there more than hanging out in the rest of the house, though she did plenty of walkabouts to monitor what was going on. At age 21 Scully was diagnosed with kidney failure and gradually her small frame became very thin. In April of 2018 she let me know that the time had come to say goodbye and she was assisted by her vet to end any suffering. She was a very special little girl who will never be forgotten. I consider myself very fortunate to have had this kitty in my life for almost all of her 22 years. This is Abby, or Abigail, if she was getting in trouble. 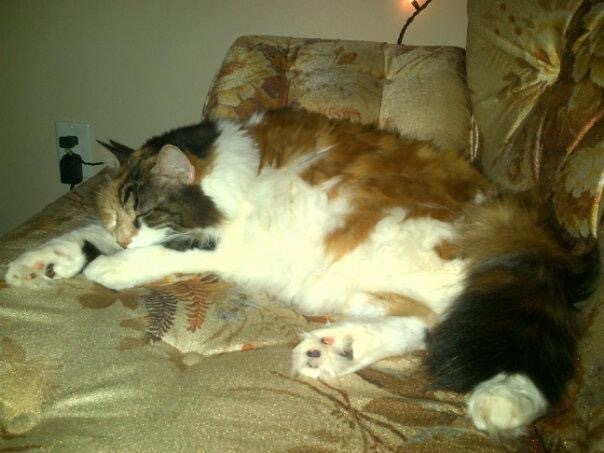 We got Abby from the Kamloops SPCA at the end of summer 2005. She was found running loose in Chase, skinny as a rail and full of life. After ten days in the pound and still unclaimed, she was sent to the SPCA after a vet refused to euthanize her. She was too beautiful and too nice of a dog. We never met that vet, but he (or she) was right; Abby was an incredible dog. I happened to be volunteering at the SPCA at the time and the rest, as they say, is history. We went as a family to play with Abby (her SPCA name was Magpie at the time). She was running around and jumping on us and in the pool constantly. We put in an application right away, because someone else had expressed interest in adopting her. There’s no doubt in my mind that she chose us that day. I can still feel her licking my hands through the cage and the soft feel of her floppy ears while her tail wagged furiously. Those first few years were a challenge. She loved stealing food, running all over the place, and had “selective hearing” as we called it. Despite all of this, she was smart as a whip and loyal beyond measure. She ate everything she could get her paws on, including 19 homemade cupcakes, tubs of butter, numerous loaves of bread, garden cucumbers, an entire beef roast, and countless others. If someone came home from grocery shopping, she’d go straight for the bag of mushrooms and head of iceberg lettuce. The only food she avoided was celery. Everything else was fair game in Abby’s world. Five years later, two little lab puppies came into our family: Maverick and Goose. Abby initially wanted nothing to do with them, but they quickly became the best of pals. Abby was their Mom and showed them how things were done in the Herman family. Five years after that, in 2015, another lab named Bosley joined our family. Again, Abby wanted nothing to do with him, but all 4 of them quickly became wonderful friends. It was chaos with 4 labs running around. The best kind of chaos. Abby was very spoiled and very doted upon. She was a queen and treated as such. She even crossed her paws when she laid down. We called her Pig because she would snort when she was most content. Suntanning was her favourite pastime, along with swimming, belly rubs, camping, hiking, chasing trains within the safety of the dog park, and chasing birds. I’m not sure we will ever forget the fact that she caught 3 crows. When Abby got sick, we knew our time with her was closing in. She got so many McDonald’s Happy Meals that she gained 10 pounds in her last few months. We wanted her to be happy and enjoy her time with us. And on a sunny March day, that time had come. Thank you to Dr. Lewis and the staff at Central Animal Hospital for the love and care you gave Abby throughout her life. We appreciate your support and guidance through it all. Maverick, Goose, and Bosley still search for her to this day. She was their Mom and she taught them everything. Camping trips and swimming at Lac le Jeune feel different now, and we make sure to bring her collar with us. 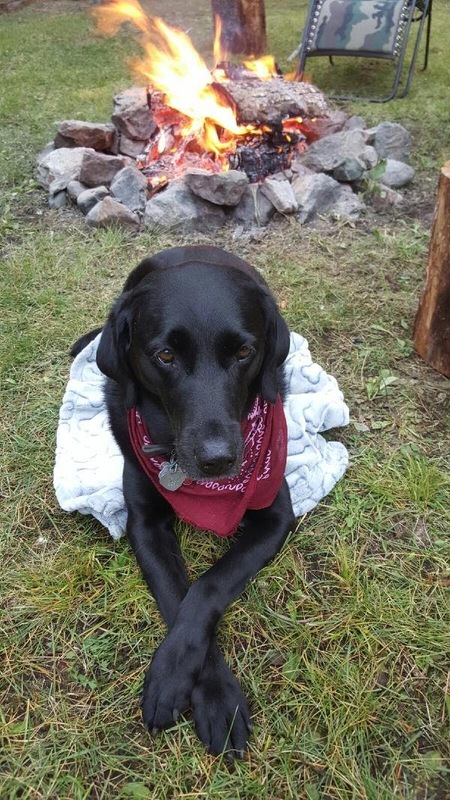 She loved camping so much and we know she’s with us in spirit. We love and miss you so much, baby girl. Enjoy stealing cucumbers from someone’s garden, and swimming and running freely up there. You are the best Black Pig. — Submitted by Kara Herman, September 2018. Josie was five years old when I got her in 2000. Her birthday was on Mother’s Day. She passed away three days before Christmas 2015. 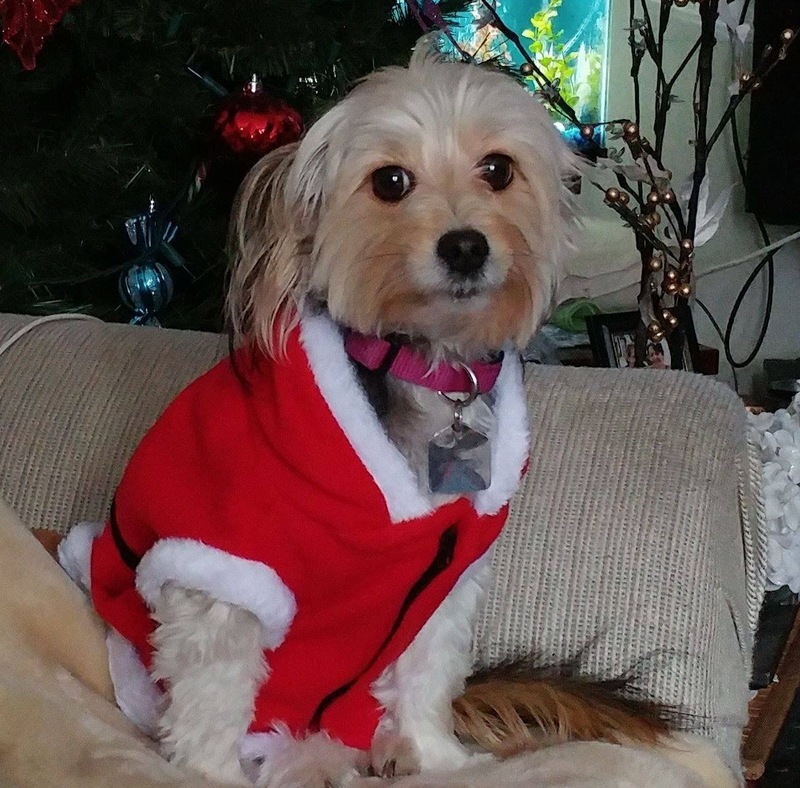 She leaves behind a fur sister puppy Bella Marie who will be four years old Dec 9. 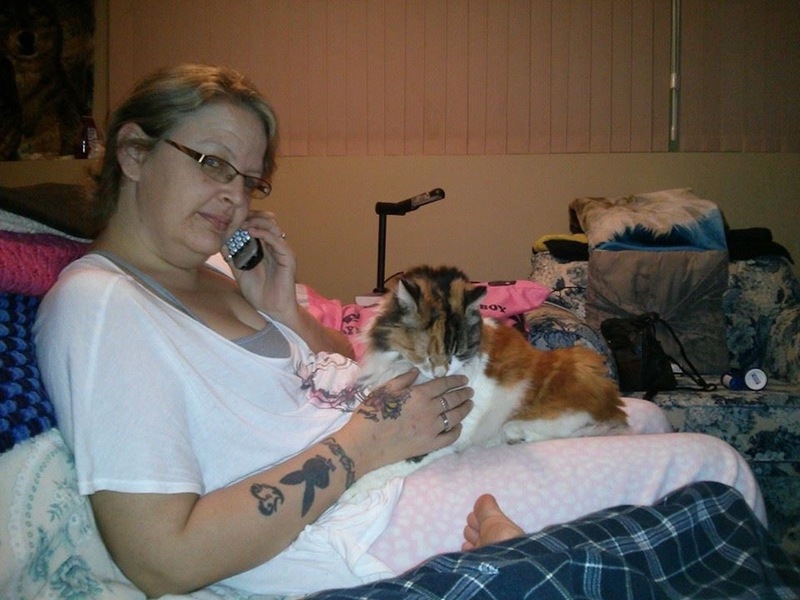 One story to reminisce about would have to be when my wife was on the phone and every time that she would talk for several minutes Josie would think she is being ignored and would jump on my wife’s lap and paw her until she hung up the phone and paid attention to her. 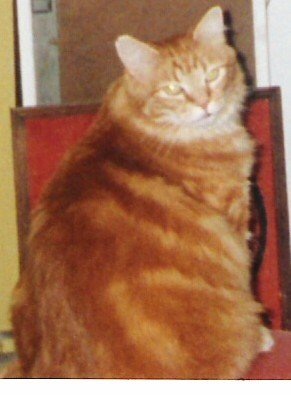 The other fur sister Josie had was a 15-year-old tabby that also passed away on June 27, 2009. Her name was Sarah Dusty. — Submitted by Martin Jensen, Sept 30, 2018. Our beloved sweet boy lost his battle with cancer on Friday, Aug. 24. No soul was kinder, gentler, more patient or loving than Jesse. He never met another creature he didn’t like. We never once saw him angry. He seldom barked but when he did it was out of the joy of living. In the evenings, when we went out to feed the horses, he’d always go to the river bank and give a few woofs out towards the water just for fun. He enjoyed barking at trains, planes and river boats, too, letting them know they should keep moving. Many is the CN engineer, pilot or boater who heeded his advice. His least favourite thing was the wind, and when it was blowing he made sure to be close to us. Every once in a while, he’d get a big smile on his face and let out a long growl that wasn’t really a growl at all but a dog version of laughter. You knew he was at his happiest when he did that. Jess, a.k.a. J-Dog, loved wading along the shore and sticking his nose in the water to blow bubbles. He also loved going for walks every day, especially in new places. Most of all, he loved being with family. Jess became a bit of a TV star on CFJC when we were fighting to convince RIH to continue providing chemotherapy drugs to canine patients, a campaign that proved successful. Thankfully, the exceptional care Jesse received at Riverside Small Animal Hospital gave him two and a half more years after his cancer was diagnosed and for that we will be eternally grateful. He was able to carry on with a very high quality of life, enjoying every day of that extra time as much as we did. Just a few days ago, Jesse enjoyed a visit of several days from his little buddy Willy, and he made sure to show Willy where everything was around our acreage. Jesse lived a good life, bringing us joy and memories to treasure. He is survived by Mom, Dad, Jacob, equine family members Tanner and Bradley, feline brother Barney and sister Orange Kitty, and his human friend Bary, and his many friends at Roving K-9 daycare. Special thanks to Dr. Matt Nicol and the staff at Riverside for the truly wonderful care they provided our very special boy. — Submitted by Mel Rothenburger, September 2018.